The recent loss of three GLONASS-M satellites in space resulted from a series of mistakes made by the Russian Energia rocket corporation, the head of the Russian state commission probing the incident said today (December 17), according to the state news agency RIA-Novosti. 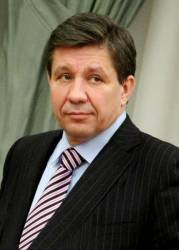 "The preliminary results of the investigation commission indicate that Energia miscalculated how much fuel needed to be loaded into the DM-3 rocket booster," said Gennady Raikunov, director general of the Central Scientific Research Institute of Machine Building who headed the investigation into the December 5 launch failure. "The amount of oxidant exceeded the norm by 1–1.5 tons and excessive weight prevented the Proton-M rocket from putting the satellites into calculated orbit," the official said. A new and reportedly untested method for fueling the upper stage of the rocket apparently led to the error. The overloaded launcher’s trajectory sent it eight degrees off course, eventually falling into the Pacific Ocean a couple of hundred miles northwest of Hawaii with the three satellites still attached. Raikunov added that the company’s management had not carried out all the necessary pre-launch safety procedures and had failed to spot the mistake in calculations. Furthermore, GLONASS satellite producer Reshetnev Information Satellite Systems should have better controlled preparations for the launch of the satellites, according to the joint commission. The December 5 launch of the Proton-M carrier rocket was supposed to complete formation of the constellation. The Russian Federal Space Agency (Roscosmos) is in the process of moving two spare satellites — space vehicle number (SVN) 722 and 714 — in orbital plane 2 from orbital slots 9 and 23 to 14 and 17 operational slots, respectively. SVN714 has been added to the almanac already and will transmit on the –5 frequency once it is set healthy. Meanwhile, the first next-generation GLONASS-K has arrived at the Plesetsk Cosmodrome, where it is being checked out before being placed on a Soyuz-2 rocket for launch in the coming weeks.